The history of our ships. 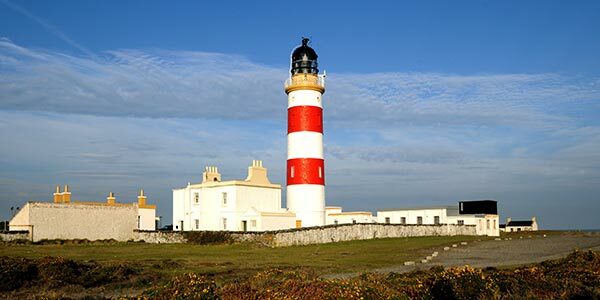 1807: Built at Arbroath, purchased on stocks and employed assisting SMEATON in the construction of the Bell Rock Lighthouse. 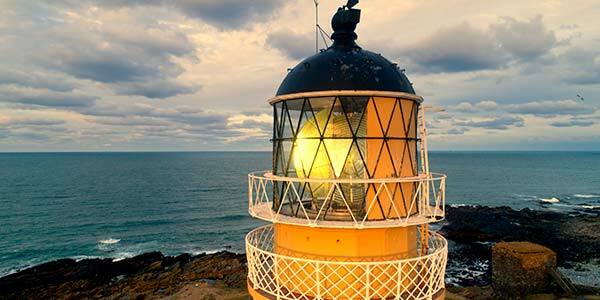 1809: Purchased to assist SMEATON in construction of the Bell Rock Lighthouse, name unchanged. No further details. 1816: Built by Morton at Leith for the Commissioners and based at Leith as tender to Bell Rock Lighthouse. 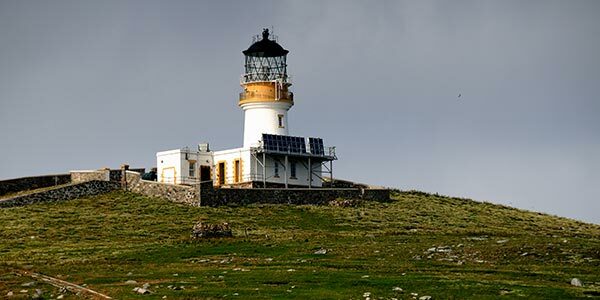 1839: Built by Robert Menzies & Sons, Leith and based at Hynish, Tiree in connection with the construction of the lighthouse on Skerryvore. 1847: Sold to Liverpool Steam Tug Co, Liverpool, name unchanged. 1841: Launched but not apparently registered. 1887: Sank after collision with the Glasgow steam tug FLYING SERPANT (260/86) off the Tuskar Rock, Ireland, while on passage from Point de Galle, Ceylon to Liverpool with a general cargo. Lever, 2-cyl by R & W Hawthorn, 75 hp, rebuilt as twin-screw steamer 1893, compound, 4 -cyl by R Dunlop & Bell, Liverpool, 130hp, tonnage now 167gross 76 net. 1924: Broken up in Holland. 1881: Broke from moorings in Erraid Sound, Mull, driven ashore and became a total loss. 1895: Wrecked on Mull of Kintyre while on passage from Greenock to Oban on 28 September. 1951: Arrived at Spezia for breaking up. 1955: To release name for new vessel, renamed AVONTOUN. 2014: Purchased by The Royal Yacht Brittannia to be converted into a 25 bedroom luxury “boutique” hotel and renamed FINGAL in 2016. Diesel-electric, through two conventional main propelled aft and gill-jet bow thrusters, Service Speed 12 kts, 20 tonne crane,200 square metre Buoy Working Deck, Helicopter Deck. 1993: Built by Ferguson Shipbuilders Ltd, Port Glasgow, based in Oban. Sold 8 September 2006 to Byron Marine Ltd to work in the Falkland Islands, South Atlantic as a fishery patrol and logistic support vessel. 1174 Gross Registered Tonnage, Service Speed 12 kts, 12-tonne crane, 200 square metre buoy working deck, dynamic positioning. 2000: Built by Ferguson Shipbuilders Ltd, Port Glasgow, based in Oban. Gross Tonnage: 3672 tonnes, Service Speed 12.5 knots, Buoy Crane Capacity 30 tonnes. Dynamic positioning, large aft working deck, integrated bridge management system, forward helicopter flight deck, hydrographic surveying, wreck finding. 2007: Built by Gdanska Stocznia “Remontowa” im. J. Pilsudskiego S.A. The North Carr Rock is situated at the turning point for vessels entering the Forth coming from the north and bound for the Tay or further north coming from the south, and before being marked was responsible for numerous casualties. After representations had been made to the Commissioners by the Shipmasters and Officers Protection Association of Scotland, the Dundee Harbour Trustees, and others, consideration was given to marking the rock by means of a lighthouse at Fife Ness, by establishing a light on the North Carr itself (abandoned owing to the expense involved in laying a suitable foundation on the friable rock), and by means of a Lightvessel. Preference was given for a Lightvessel to be placed one mile due east of the rock, approximately ten and half miles from Bell Rock and seven miles from the Isle of May in which position it would do away with the need for the low light at Isle of May. Pending the building of a new Lightship, Trinity House offered to supply the Commissioners with one of their Lightships on loan with an experienced officer on board for a time. This offer was accepted and the Lightvessel was towed from Blackwall, near London, by a tug and placed in position on 7 June 1887, on which date the light from the low tower at Isle of May was discontinued. The crew consisted of Master, Mate and nine seamen of whom one officer and six seamen were always on board. The Master received £115.10.7d per annum with uniform; the Mate £97.0.7d per annum with uniform and the seamen £69.6.8d per annum with uniform. It was a condition of their employment that the officers and crew resided in Crail, and when ashore to occupy themselves in a store, which had been built there for coke, provisions etc (the coke which was delivered to Crail Store at 27/- per ton was required to drive fog signal machinery on the Lightvessel). It was a further duty for the officer and three crew members ashore to man the Attending Boat, which sailed weekly for the Isle of May and fortnightly to the North Carr. To help this arrangement Alex Watson, Isle of May Boatman, was appointed Mate of the North Carr Lightvessel; Mr John Kirkpatrick, Boatswain, “Pharos” was appointed Master. The Trinity House Lightship was replaced in July 1889 by a timber vessel, the hull of which was built by Alex Stephen & Sons, Dundee. It was 103 feet in length, 23ft 6ins broad and had tonnage of 255. 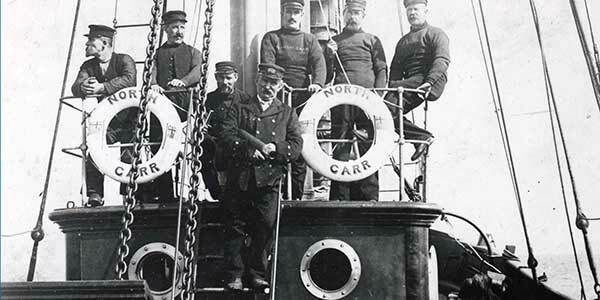 Five years later in 1894 it was decided to service the North Carr Lightvessel and Isle of May from Granton and that only a Signalman would be required at Crail. (The Coastguard Boatman, Crail, was appointed Signalman at £8 per annum). This decision was not well received in Crail and on 27 August 1894 the Provost submitted a letter transmitting a memorial from a large number of inhabitants of Crail against the proposed transfer of the Shore Station to Granton. 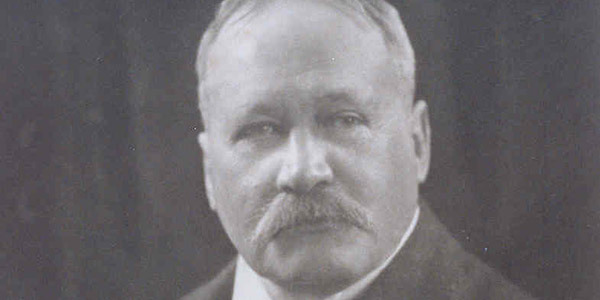 Mr H T Anstruther MP supported the protest and the Secretary for Scotland wrote to the Commissioners on 28 August 1894 asking for the Commissioners’ views on the matter. All were assured that it was in the best interests of the Northern Lighthouse Board as well as economy and had the Board of Trade’s sanction. The original attending boat had been replaced on 6 June 1888 by the Steam Launch “May” – built by Messrs Hawthorn & Co Ltd, Leith for £510 for which a special berth had been obtained in Crail. On transfer to Granton she continued in operation until May 1899 when she was sold for £150. The SS ” May” took over with the officer and crew on shore from the Lightship forming part of the crew when she made ordinary gas, buoy and relief work. The officers alternately acted as Mate of the “May” for which they received an extra 1/- per day all the year round. In 1902, when the Bell Rock light was being altered, these duties were increased to include all necessary trips to the Rock. The wooden vessel (sold subsequently to Mr H Hinks, Appledore, North Devon for £275) was replaced on 3 April 1933 by the present vessel which is iron below water line and steel above and which created quite a stir in Edinburgh on account of her fog horn being tested while lying at a point ¾ mile outside Granton in the Firth of Forth. As the fog horn had a range of approximately 10 miles, north Edinburgh could hear it loud and clear and the complaints to the Office, newspapers and Police were numerous – particularly as it was being sounded in clear weather. “An Edinburgh grievance which has left rankling memories in the selection of Granton for the fog horn test” were typical of statements made and written at the time. The ship was built by A & J Inglis Ltd, Pointhouse Shipyard, Glasgow, is 101ft in length and 25ft in breadth and 250 tons in weight; her hull and superstructure are painted red and the name North Carr is painted on both sides of the hull. It has been suggested that the wooden lightship should be replaced by a lighted buoy and automatic fog gun but the suggestion has been dismissed on account of their being considered too weak in power and range to be effective for such an important situation. Since taking up her position the lightvessel, has done yeoman service sharing with the Abertay Lightship the distinction of being one of the only two such vessels in Scottish Waters. During the war her place was taken by an automatic lightbuoy while she herself did duty at a point between the Mull of Kintyre and the Mull of Galloway. With one notable exception her only absences have been for routine overhaul every third year. She has no motive power of her own, so has to be towed whenever she is required to move. 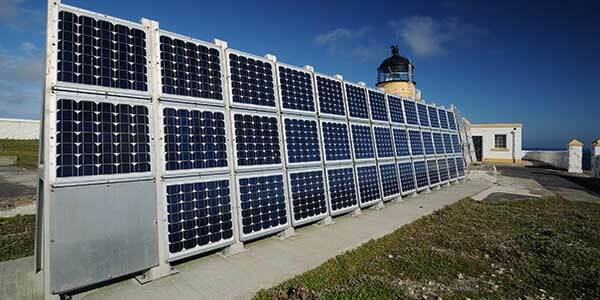 This means, of course, more space available for the generators and other installations with which she does her job. Her engine-room, for instance, is given over to three Diesel Generators and three Diesel Air-Compressors together with large fuel storage tanks and containers or “receivers” for compressed air – all catering for the requirements of the light and fog signal. The chain locker is another distinctive department, housing two spare cables, as well as the “slack” left over from the one now in use. The links of this are studded and made of metal 15/8 inches thick. The anchor weighs 3 tons; two spare anchors, of 30cwt apiece, are also carried. Up on the deck, the dominating feature is the lighthouse tower, surmounted by its lightning conductor 40 feet above the sea. At one time a fixed white beacon was shown. But now, from sunset to sunrise, the signal is two flashes in quick succession every half minute – a beam of half a million candlepower visible for over ten miles. The source is a 1,000 watt electric bulb, magnified by the usual prismatic lenses which are rotated around it by a small electric motor. In the event of a power breakdown, a paraffin lamp can be substituted, while the lenses can be turned manually. Naturally enough, the whole system has got to remain vertical, despite any movement of the ship in rough weather, from stem to stern or from port to starboard. This problem is solved on the pendulum principle, the lamp and its adjuncts swinging on a set of gimbals, with a weight attached below. The fog signal, with it two blasts every minute and a half, can be turned to any point of the compass, and is very similar to its counterparts on dry land. But it does have a special enemy to contend with – marine growths, which must be prevented from growing near the all-important sea-water injection valves. Here the remedy lies in a pressure boiler, which blows out hot steam and keeps the passage clear. Sea-life also presents another kind of difficulty, for limpets and barnacles take up residence in prolific number on the ship’s bottom. To deal with this as far as they can, the crew make use of an elephantine back-scraper, like an out-size garden hoe. But even in spite of these exertions, about six tons of barnacles have to be dislodged when the vessel comes into port for her periodic overhauls. The only regular visitor is the lighthouse tender from Granton, which arrives every fortnight with mail, stores, rations, newspapers and reliefs. 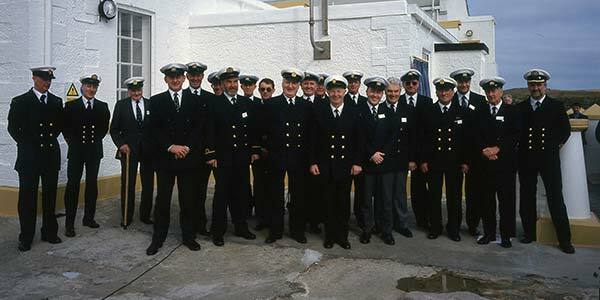 The lightship crew consists of eleven men:- 1 Senior Master, 1 Assistant Master, 3 Senior Enginemen, 3 Assistant Enginemen and 3 Seamen, of whom 1 Master, 2 Senior Enginemen, 2 Assistant Enginemen and 2 Seamen are on board at the one time. The two Masters spent alternatively two weeks afloat and two weeks ashore and the other members of the crew spent, in rotation, a month afloat with two weeks ashore. The occasion referred to earlier, on which she moved off station, took place on 8 December 1959, during a severe gale when the Lightship broke adrift from her moorings and the Broughty Ferry Lifeboat, Mona, which went to her assistance, capsized and was lost with all hands. The Lightship managed to anchor about 900 yards off the rocky shore at Kingsbarns, near St Andrews and the crew was taken off by two Bristol Sycamore helicopters from Leuchars on 9 December, after an attempt to tow the Lightship had failed. The rescue was made in extremely adverse conditions. A full gale was blowing and the Lightship was rolling and pitching heavily. To assist in the rescue operations the crew cut away the 40ft aftermast, which allowed the helicopters to fly as low as 5ft above the lantern and pick up members of the crew from the chart house roof. The Lightvessel was eventually taken in tow by the Admiralty tug “Earner” on 11 December, repaired at Leith and put back on station on 16 March 1960. The North Carr Lightvessel was sold to the North East Fife District Council in July 1976 and was used as a floating museum based in Anstruther harbour. The North Carr Lightvessel is now based in Victoria Dock, Dundee and is used by the Maritime Volunteer Service (MVS) as a base for Unit meetings and training. SCOTLAND’S last surviving lightship has been saved from the scrapyard for the princely sum of £1. The maritime charity which has become the new owner of the North Carr Lightship, currently rusting in a dock on the banks of the River Tay, now faces the daunting task of raising the £500,000 needed to restore the vessel and transforming the ship into a viable visitor attraction on the city’s waterfront. 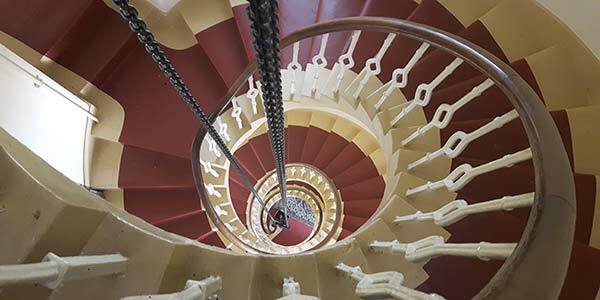 The lightship, built on the Clyde in 1933, was stationed off the notorious North Carr rocks, a mile and half from Fife Ness, until 1975, a crucial part of the life saving network operated by the Northern Lighthouse Board. But 51 years ago the lightship was at the centre of one of Scotland’s worst lifeboat tragedies, when all eight crew members of the Broughty Ferry lifeboat drowned after their boat capsized in raging seas while going to aid the North Carr, adrift in a severe gale after breaking free from its moorings off St Andrews Bay. The six men on board the North Carr were later winched to safety by an RAF helicopter. After being decommissioned, the lightship was briefly used as a floating museum in Anstruther before being towed to Dundee ten years ago. Fears were raised last year that the North Carr was destined for the scrapyard after the English-based Maritime Volunteer Service (MVS), which had inherited it put it up for sale. But it has now been confirmed that MVS has sold the lightship for only £1 to Taymara, a Dundee-based maritime charity also involved in rehabilitating young people with drug and alcohol problems. The charity plans to turn the 250-ton vessel into floating exhibition, conference and function venue. Bob Richmond, a Taymara trustee, said local volunteers had spent £55,000 five years ago repainting the superstructure of the vessel, but were left dumbfounded last August when MVS put the boat up for sale. He said: “The local people who had worked on the boat were so annoyed that we resigned and formed our own charity, Taymara. We put in a bid to buy the vessel but I understand it has taken until now to establish clean titles to the North Carr. And now we have established ownership, we can press ahead with our plans to restore and modernise the boat. “There has been no maintenance done for about 12 months, so she is looking a bit shabby. But it’s really just surface rust. “Our first task will be stop any further deterioration. “But a vessel like that takes a great deal of money to maintain and she has to become viable in her own right. But we believe £500,000 is the maximum that will be required for what will be a long-term project.” In the meantime, Taymara plans to use the boat as its headquarters. Mr Richmond added: “There seems to be a great affection for the vessel locally … she saved countless lives in her time.” A spokesman for MVS said: “We’re not a vessel preservation society.